Metal prints - NEW: over 50 sizes & now with FREE delivery! Metal prints are the medium of choice for professional photographers. This is because printing photos on aluminium allows for precise image reproduction. Thanks to its special material properties, this medium is perfect for versatile metal picture prints. Professional photographers enjoy using this product and often employ it for photo exhibitions. This is due to the low weight and high stability of the material – ideal for large metal prints and their transportation. However, metal photo prints are still relatively unknown amongst hobby photographers. What is Alu-Dibond made of? 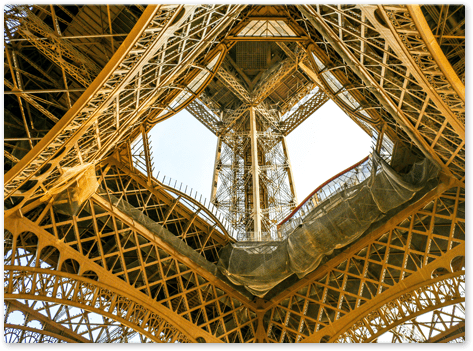 What makes Alu-Dibond metal prints so light and sturdy at the same time? As the name suggests, this material is a composite product. The light alloy of aluminium is processed into two thin layers and is held together by a plastic, polyethylene core. It is this plastic core that makes Alu-Dibond cheaper than aluminium and more stable. In addition, we can produce custom metal prints in almost any size. This makes the material very interesting for photographers. The 3 mm thick Alu-Dibond, which is temperature resistant and waterproof thanks to UV direct printing, is also suitable for metal prints for outdoor use. 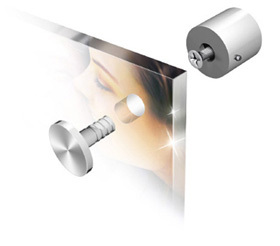 Alu-Dibond metal photo prints may also be used without problem in damp areas such as bathrooms. Companies also use aluminium metal prints: The material is particularly suitable for trade fairs and promotional campaigns. In addition to light weight and stability, this photo printing option convinces with its brilliant colours and high degree of sharpness. 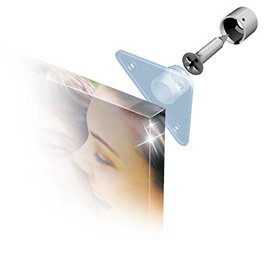 The product’s high stability allows the metal prints to be transported and mounted easily. A photo printed on metal is characterised by its exclusive properties. These are achieved through the characteristics of this high-quality and precise material. This is also the reason why a metal print is not one of the cheaper photo products. But we try to offer this product, too, at discount prices through our regular special offer deals. A direct comparison of the prices of photo canvasses and photos on metal show that printing on aluminium cannot be done on the cheap. 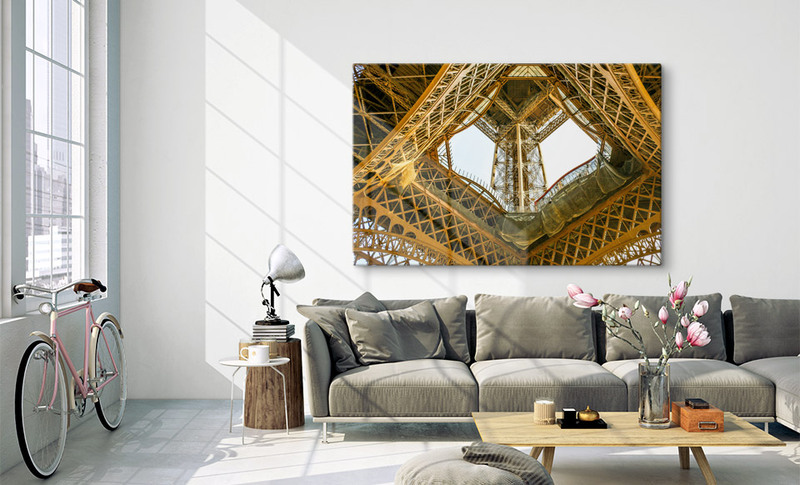 If you are looking for an economical photo to decorate your wall, you should always go for the classic large-format print: the photo on canvas. Aside from the standard sizes, if you decide to have your photo printed on metal, we can also cut your picture to the millimetre. 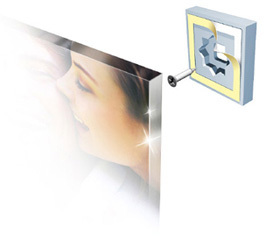 This means that Alu-Dibond can be made to fit your photo perfectly and is also the ideal decorative concept as a photo collage or a multi-panel series of pictures. A white or brushed surface? Modern direct printing technology allows the colours in your metal photo print to shine with a special vividness. However, the choice of surface structure will determine the effect your metal print will have. Whilst brushed aluminium in a metallic-look comes with its very own surface structure, the semi-matte look of Alu-Dibond is especially suitable for direct printing photos onto metal. This ensures an intense depth of colour and amazing detail. 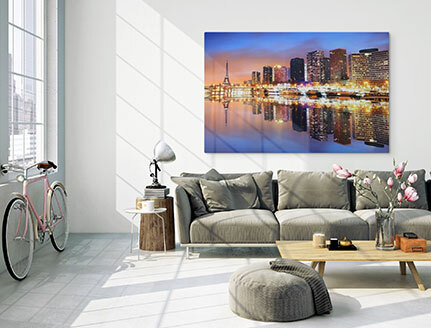 If you intend to hang your metal print in strongly-lit or very bright rooms, we recommend the matte surface. For delivery, we offer three different services, ensuring that you will have your metal print pictures in just a few days at a reasonable delivery price. Depending on the selected delivery mode and the size, our metal photo prints are delivered by either UPS or trans-o-flex, our logistics suppliers. If you order several metal photo prints together, the costs of delivery will be automatically reduced. Our transport service providers deliver your metal print pictures in packaging specially developed for this purpose. If you are not there to take delivery of your order, the product will be held at your local Packet Shop for 5 days, after the third delivery attempt.